Undervalued: Early Childhood Educators Provide Critical Service but Struggle to Make Ends Meet | Features | Kids VT - small people, big ideas! When Noelle Cleveland enrolled at San José State University in California in 2008, she knew she wanted to work with young children one day. She thought she might become an elementary school teacher. But as part of her coursework, she volunteered in a preschool and, as she tells it, "instantly fell in love." Cleveland, now 30, was enamored with "the magic and wonder and excitement" that young children possess. One decade, two degrees and four full-time early-education jobs later, she still feels that spark. She recalls a recent morning when she walked to the Browns River to explore with her preschool students from Saxon Hill School in Jericho. "It kind of reminds you to take a minute and look at the river," she muses, "and it's joyous to watch them learn." But despite her passion, her love for the kids and her belief that she is making a difference, she doesn't know if she can continue in the field. Since she beganher career in 2014, Cleveland has earned an average salary of about $23,000 a year. Her current job offers little paid time off and no health benefits. Thanks to the Affordable Care Act, she's able to pay for her own health insurance, but it does not include dental or vision coverage. Consequently, she wears expired contact lenses and has a problem with a tooth that she can't afford to fix. Between her bachelor's degree in child development from San José State and her master's degree in early childhood education from Champlain College in Burlington, she's accrued $80,000 in student loan debt. She was denied a car loan because the debt labels her a risky borrower. She lives with her partner in the basement of his parents' home and is delaying marriage and starting a family because of her financial insecurity. Still, she considers herself one of the lucky ones in her line of work. Her partner earns more than twice her income in his job as a contractor and is able to help support her financially. Her parents pay the interest on her loans — her father even delayed his retirement and got a second job to help. Living in her partner's parents' basement enables the couple to pay reduced rent. Vermont is experiencing a childcare crisis, parents, experts and lawmakers across the political spectrum agree. A bill to mitigate the problem is currently being debated by state legislators. But Cleveland's story illustrates an aspect of the issue that is sometimes overlooked. Conversations about childcare often focus on the high cost and shortage of care. Less frequently discussed is the fact that the providers themselves are barely scraping by. Parents might be surprised to learn that their kids' early childhood educators, many of whom are college graduates, are going without health insurance, depending on Medicaid and other government benefits, finding unconventional ways to cut basic operating costs, and even sacrificing retirement savings and paychecks to provide high-quality care for kids. "I've been pedaling uphill and uphill," says 71-year-old Judy Pransky, a childcare center owner for almost 35 years. "I often say, How can I keep doing this?" Cleveland concedes that she "never expected to become wealthy as a teacher," but she also says she didn't imagine how challenging it would be to make ends meet. For her, it comes down to dignity. "It is dehumanizing and difficult to have to ask for financial help, especially when you are working hard to stay afloat," she says. She knows that the work she is doing is critical. Parents need childcare to return to the workforce after having kids, and young children need high-quality learning experiences, she says. But the question she's recently been asking herself is: "Do I want to have the job I believe I was born to do, or do I want to live a comfortable and independent life?" "I still don't think we're getting paid nearly enough"
Childcare workers in Vermont earned a median hourly wage of $12.71 in 2017, while preschool teachers earned $14.57. These numbers come from the 2018 Early Childhood Workforce Index released by the Center for the Study of Child Care Employment at the University of California, Berkeley. The pay is worse in other parts of the country. In 2017, the national median hourly wage was $10.72 for childcare workers and $13.94 for preschool teachers. Colchester native Jordan Soutiere makes more than that working with 1- and 2-year-olds at Kids & Fitness, a childcare program with locations in Essex, Williston and South Burlington run by health club The Edge. Before starting her current job in the program's Essex location, she earned $13.50 an hour at another childcare center in Essex, a job she took after graduating in 2015 from Colby-Sawyer College in New Hampshire with a bachelor's degree in child development. After Soutiere gave birth to her son in August 2017, she could no longer afford to work there because the job didn't offer health benefits, and her pay was just high enough to make her ineligible for Medicaid. At Kids & Fitness, her son is able to attend the program at a 50 percent discount, and she gets health insurance benefits for herself. Her son receives health insurance through the state-funded Dr. Dynasaur program, and her family grocery bills are subsidized by the Special Supplemental Nutrition Program for Women, Infants and Children (WIC). Despite these benefits, Soutiere struggles financially. She shells out $600 a month to repay college loans and estimates it will be 20 years before she is debt-free. She lives in St. Albans with her son and fiancé because they can't afford an apartment in Chittenden County. Gas for the commute costs about $200 a month. She isn't able to save money to make a down payment on a house. And she can't afford to stay home with her son when he's sick. It's not surprising that Soutiere is having difficulty making ends meet. Vermont ranks among the states with the highest cost of living on several surveys. The Living Wage Calculator, developed by the Massachusetts Institute of Technology, calculates that the living wage in Vermont — the hourly rate that a full-time worker must earn to support their household — is $13.29 per hour for one adult and $27.84 for one adult with one child, both in Chittenden County, the state's most populous county, and in Franklin County, where Soutiere lives. Despite working 40 hours a week, there is "a lot I can't do because I just don't have the money for it," says Soutiere. 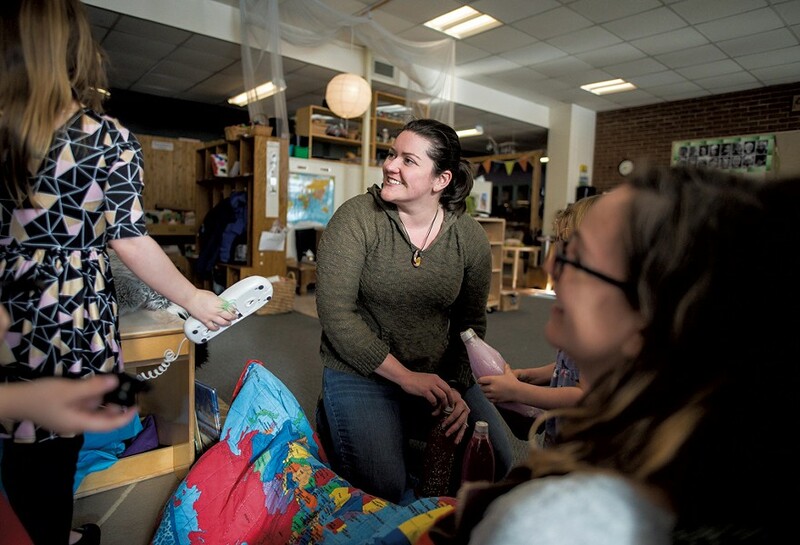 Ella Downey, 23, graduated from high school five years ago and got a job as an entry-level assistant teacher at Leaps and Bounds Child Development Center in South Burlington for $9.50 an hour. The first year she was there, she says, 38 employees left. She's proud that now, under new ownership — the center is one of five Loveworks Child Care Centers in Vermont, and Downey is its director — employees receive health benefits and paid personal time, and teachers receive $14 to $16 an hour, more than many area centers pay, she says. She now makes $19.25 an hour running the day-to-day operations of the center: communicating with parents, giving tours to prospective families, hiring staff and managing enrollment, as well as covering teachers' lunch breaks and filling in for classroom teachers when they're absent. "I still don't think we're getting paid nearly enough," she says. She has difficulty finding educators to hire, and being short-staffed is a constant worry. "We just haven't had that many people even applying," she says. Trisha Scharf, owner and director of Children Unlimited in Williston, which serves 65 students from age 6 weeks through school-age, says talented educators have left her center. One took a job as a clerical worker at a hospital. Others have become paraprofessionals or teachers in the public school system. These positions come with benefits and offer substantially more pay than jobs in childcare. A Vermont kindergarten teacher, for example, earns a median hourly wage of $31.69, according to the 2018 Early Childhood Workforce Index. Says Scharf: "People who love this age group just can't afford to do it anymore." "I'll keep doing this as long as I can." It's not only early childhood educators who are feeling the financial strain. Childcare center owners stand atop a razor-thin edge trying to balance quality care with economic stability. The crux of the problem, says Janet McLaughlin, interim CEO and chief of programs for advocacy and awareness campaign Let's Grow Kids, is that families who need childcare "can't afford to pay more, and early educators can't afford to make less." Pransky owns Cherry Street PlayCare in St. Johnsbury, a private center that provides childcare and afterschool care for 65 children, ages 6 weeks to 13 years. Cherry Street is a five-star program, which means it has been recognized by the state as outstanding in a wide range of practices that support children, families and professionals. Pransky believes that "from the moment of birth until they're ready to walk into school," children need highly skilled educators who are deeply invested in their work caring for children. In order to attract that caliber of educators, she says, childcare centers need to pay a decent wage. She prides herself on offering a good salary to her employees, ranging from $13 to $33 an hour. She offers two weeks of paid vacation after one year of employment, seven paid sick days and seven paid holidays, and she pays for professional development. Some of her employees have worked for her for 18 years. How can she offer these competitive rates? "I decided I would sacrifice everything else to pay my staff well," she explains. That means forgoing things like painting and insulating the building that houses the center (which she owns) and putting off cosmetic repairs on play equipment. To construct an addition on her building to accommodate more infants and toddlers, she borrowed money from a well-to-do friend, then took out a life insurance policy in his daughter's name as an unconventional way of repaying him. Supplemental income she earns from Emerson Falls Hydro, a hydroelectric generating station she built with partners in 1984, goes into her childcare business. 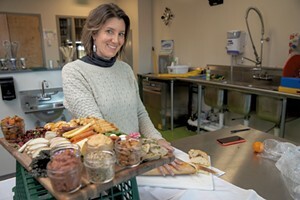 Creativity, she and other center owners know, is key to staying afloat. For more than 30 years, Rosamaria Fay has provided childcare — first in her home-based program, now at the center she co-owns, Milton's Elite. She's constantly trying to figure out how to cut costs, she says, doing things like making her own liquid soap. It costs childcare centers an estimated $15,793 to $35,535 per child to provide one year of quality early care, according to a November 2016 report from Vermont's Blue Ribbon Commission on Financing High-Quality, Affordable Child Care. The higher costs are for infants and toddlers, whose care requires more employees. State regulations require one childcare provider for every four infants, one provider for every five toddlers and one provider for every 10 preschoolers. Some childcare programs don't offer infant care, says Fay of Milton's Elite, because "it's not cost-effective ... We're not making any money off those infants." State regulations, updated in 2016, beefed up the educational requirements for lead, or head, teachers in center-based programs. Additionally, all early childhood educators are required to complete 15 hours of professional development annually. Some childcare center owners say these factors affect their ability to hire teachers at a salary they can afford — because educators with more training expect more money, and job applicants aren't always willing to get the training they need for the salary being offered. What's more, many providers say the income level that enables families to receive state-funded childcare subsidies — known as the Child Care Financial Assistance Program, or CCFAP — is too low, which impacts their ability to charge more for care. Under the current system, a family of four must make a gross monthly income of $2,092 or less to qualify for a 100 percent childcare subsidy. The subsidy operates on a sliding scale, bottoming out at families of four with a gross monthly income of $6,275, who qualify for a 10% subsidy. The Blue Ribbon Commission's 2016 report found that less than a quarter of families seeking access to regulated childcare get assistance through the program. Furthermore, the report stated, "to make care more affordable for families, providers offer financial support, including not collecting CCFAP co-payments" for families who receive a partial subsidy, which reduces the income of their businesses. Additionally, the state currently calculates its subsidy for preschool-age children using the 2010 market rate — which is $227 less per child per month than what centers reported charging in 2017. Let's Grow Kids likens that to "paying a mechanic 2010 prices for their services today." 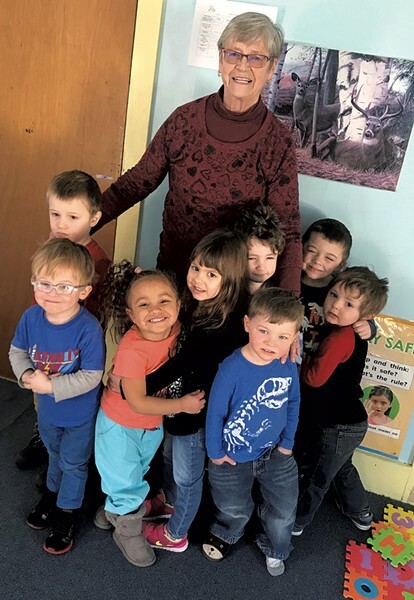 Due to pressures like these, Pransky's St. Johnsbury center — where 88 percent of children qualify for a 100 percent childcare subsidy — loses money every year, she says, and "not one cent has gone into my retirement." Still, she knows the work she's doing is critical. "I'll keep doing this as long as I can," she says. It's not uncommon for childcare owners to sacrifice their own pay to keep their centers afloat. Children Unlimited owner Scharf says that she took almost no salary last year. She had a dip in enrollment in the summer and fall, she explains, and didn't want to let go of any staff, so she just didn't pay herself. "I'm lucky," she says. "I'm married, and my husband can carry benefits, and together we can make a living." 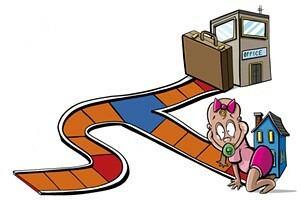 Mindy Bessette hasn't seen a single paycheck from her childcare business. She owns Adventures in Learning Child Care Center in Colchester, a Christian-based center she started in 2017 to provide care primarily for children who have experienced trauma. She was inspired to open the center after she and her husband served as foster parents to a child with trauma, and she wasn't able to find any childcare centers willing to accept him because of his special needs. To open Adventures, she used the 401(k) savings she accrued working for 25 years as a financial administrator at the University of Vermont. She recently started a capital campaign, sending postcards to local businesses to ask them to help support her work. Her husband often asks her how much longer she's willing to go on like this. Her answer? "There are always going to be children who need somebody like me." "Who's going to be there to take over?" According to the Vermont Legislative Joint Fiscal Office, the state lost 20 private childcare centers serving infants to preschoolers — or 4.8 percent — between December 2015 and June 2018. The loss in home providers for the same time period was more dramatic: 204 programs, or 26.6 percent. McLaughlin of Let's Grow Kids says the rate of childcare closures has been relatively constant over the last 10 years — excluding a spike after the new regulations were introduced in 2016. What most concerns her is that few new programs are opening up, which mirrors a nationwide trend. According to Building Bright Futures' 2018 report, "How Are Vermont's Young Children and Families?," 67 percent of Vermont children under age 5 who likely need childcare will not have access to a high-quality, regulated program. Focus only on infants who need care, and that number jumps to 84 percent. Downey of Loveworks and Scharf of Children Unlimited both say they have wait lists through March of 2020. Scharf says she gets two to three calls a day from parents inquiring about spots for infants. Fay of Milton's Elite says she's encountered parents who are willing to start paying for childcare months before they actually need it in order to secure a spot. "I'm getting older," Scharf says. "There's going to be a time when I'm going to age out of this business. Who's going to be there to take over?" One person who knows at least part of the answer is Kaitlin Northey, assistant professor in the Early Childhood Education program at UVM. According to a 2015 report, "The Economic Value of College Majors," from the Center on Education and the Workforce at Georgetown University, early childhood educators are the lowest paid college graduates of any degree program. "I try to prepare my students not only with the professional knowledge and expertise they need but also with the advocacy skills and confidence to see what's possible and fight for high-quality early childhood education," says Northey, who teaches undergraduates. That means showing them the research on pay disparities and digging into childcare policy issues. If her students — the future of early childhood education — are going to go into this field, "we want to arm them with information and show them they're not alone," says Northey. "The pressure to move the needle has to come from within." Ellen Drolette, who has run a home-based childcare program in Burlington for the last 25 years, co-owns Positive Spin LLC, a business that trains early childhood educators to fight for change in the field. "We talk to people about not being a victim of the system," Drolette says, because "they are the system." When it comes to advocating for childcare policy that would benefit them, Drolette says, "I think there's a lot of fear that they may say the wrong thing or their story isn't worthy." But she stresses that it's the early childhood educators on the front lines, not the politicians, who are the experts in these matters. She encourages them to have conversations with family, friends and legislators about the issues they face. That's the path Noelle Cleveland is taking. Last year, she began volunteering with Let's Grow Kids. She says that despite the social taboo around discussing what she earns, she is motivated to speak out because she sees the work she is doing as important — not just for young children, but for society. "If more people got to explore nature from a very early age, would we be more willing to act on climate change? If more people learned the value of working together and sharing ideas, would we be willing to expand services to help our neighbors? If more people learned the value of using words to solve differences and express themselves, would there be less violence? I think yes," she says. "This is not just a job or career; it's ensuring that there is a future." One barrier to change, say many childcare center owners, is the public perception that early childhood educators are essentially babysitters. "Yes, we change diapers. Yes, we get thrown up on. Yes, we play with kids," Trisha Scharf, owner of Children Unlimited in Williston, says, "but our play is intentional." Painting, for example, might lead to a lesson on mixing colors. Kids learn science concepts while planting flowers. Effective early childhood educators need to know and do a variety of things, she continues. Those include understanding social and emotional development, being familiar with therapeutic techniques for kids who have experienced trauma, knowing how to build on a child's strengths, and giving each child individualized attention while also keeping everyone else safe. Furthermore, they need to be able to observe and assess children, plan and implement activities, refer children who are experiencing delays to specialists, and understand each child's family dynamics and customs. "Half of our job is social work," Scharf says. Research shows that birth to age 5 is a critical time for investing in a child's education. According to the Center on the Developing Child at Harvard University, in the first few years of a child's life, more than 1 million neural connections are formed every second "through the interaction of genes and a baby's environment and experiences." Furthermore, "early experiences and the environments in which children develop in their earliest years can have lasting impact on later success in school and life." "We all know the science now," says Scharf. Dr. Joseph Hagan, a pediatrician at Burlington's Hagan, Rinehart and Connolly in Burlington and coeditor of Bright Futures: Guidelines for Health Supervision of Infants, Children, and Adolescents, agrees. When it comes to early childhood educators and young children, he says, "we want someone who's going to celebrate them, talk to them, sing to them, read to them, and then, when they're done, talk to them more, read to them more, sing to them more." Every child deserves excellent childcare, Hagan says. And, he continues, there's an economic argument for investing in early childhood education. He cites the Heckman Equation, developed by Nobel Memorial Prize-winning University of Chicago economics professor James Heckman, which states that the highest rate of economic return comes from the earliest investment in children in the form of early nurturing, learning experiences and physical health. Heckman has found that high-quality birth-to-five programs for disadvantaged children produce significantly better outcomes in education, health, social behavior and employment later in life than do low-quality programs. Says Hagan: "I think you'd be hard-pressed to find a pediatrician or child development specialist who would not agree with Heckman: 'The earlier the investment, the greater the return.'" Invest $500,000 in a scholarship program to help current early educators earn an associate's degree, achieve state licensure or participate in the state's childcare apprenticeship program, which is one path toward becoming a lead teacher. Invest $500,000 in a student loan repayment support program. Direct the Child Development Division of the Vermont Department for Children and Families (DCF) to issue five-year variances to allow some early educators to maintain employment in their current role while they work to meet recently updated education requirements. Align the guidelines for Vermont's Child Care Financial Assistance Program (CCFAP) with the 2019 federal poverty guidelines. Melissa Riegel-Garrett, policy director of the Child Development Division of DCF, says this would give some families receiving assistance through CCFAP "a little more help" but would likely not increase the number of Vermont families receiving assistance. Adjust CCFAP's sliding benefit scale so that more families receive more financial assistance, and so small pay increases don't result in significant decreases in childcare assistance. Increase reimbursement rates for prekindergarten and school-age children to align with findings from the state's 2015 market rate survey, so that families don't have to cover the significant gap between outdated reimbursement rates and what their programs actually charge for care.